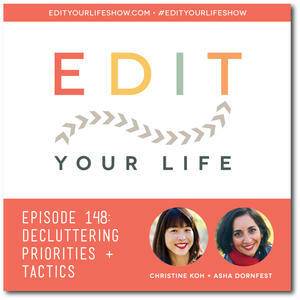 Christine and I share what we’re decluttering right now and how we’re making it happen. 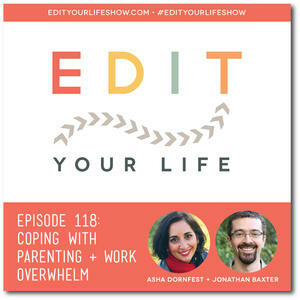 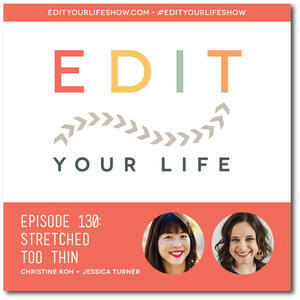 Christine interviews Jessica Turner, author of STRETCHED TOO THIN, about the power of intentionality, the invisible-but-real burden of emotional labor (and what to do about it), the connection between risk and goal-setting, and the simple fact that everyone, no matter how busy, deserves to thrive. 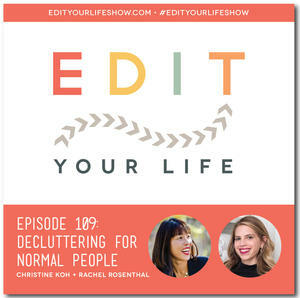 Christine talks to professional organizing consultant Rachel Rosenthal about the difference between “neat” and “organized,” then move on to small, doable ways to integrate decluttering into your daily routine.